Keep your website, online store and customer data secure. SSL is used to protect communications between online businesses and website users. Complete Cloud provides your business with leading SSL with bank level data encryption (up to 256-bit) compatible with 99% of browsers and smart phones. Secure Sockets Layer (SSL) is a web security technology that encrypts data being transferred from your website (server) and your clients’ computer (web browser). The data is sealed to ensure only the sender and the recipient can view the data. Each SSL certificate contains identification information about your company and is authenticated by a third party to ensure it’s authenticity. During an online transaction, an SSL Certificate encryption turns sensitive data such as credit card details into data only readable by the two parties. A web browser then checks the SSL Certificate to ensure that the website is legitimate. Once verified, the browser and server communicate to process the encrypted information. A golden padlock appears in the browser on sites protected by SSL to inform users that the site is protected. 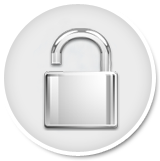 You will have a closed padlock with static trust mark to display on your site. SSL certificate will increase customers trust in your website. There is still some concern around buying online and handing over credit card details. Many consumers look specifically for the SSL certificate to ensure it is trustworthy site and will not buy from you without it. 128 / 256 bit encryption allows each visitor to use whichever is the strongest encryption available to them. Each certificate comes with a warranty on the transactions made using it. You can choose the certificate that provides you with the appropriate level of warranty for your site from $5,000 to $10,000. Our fully automated provisioning process will have your certificate issued and installed on your site in no time. With any Complete Cloud hosted service, the installation of your SSL certificate is completely free! Complete Cloud offers a cost effective SSL solution that will strengthen your brand and is compatible with most browsers and smart phones. Provide your customers with peace of mind about the security of your business. We provide world leading SSL and corresponding customer service at an unbelievable price. Our certificates are compatible with 99% of browsers and smart phones ensuring your website security has maximum effect. Your certificate will show your company as the validated owner of your site, increasing your customers trust in you. We provide you with 24×7 phone, email and chat support whenever you need it.